The season that almost all of us are waiting but then there are several types of allergies that affects in this beautiful winter and viral that affects us. Not only us but dogs are not also allergic to winter at times. There are certain precautionary measures that need to be taken if you ever find you dog sneezing, having a bad throat or shivering in winter. Left outside for extended periods of time, your dog can experience frostbite or hypothermia. Look for discolouring of the skin, especially on the ear tips and other extremities. If you find any signs, contact your veterinarian. If you find it difficult to get through a vet then a cocktail of juice can be given to the dog should be given to him but only the dog does not reach on time. We have some special tips for those dogs that face lots of trouble when it comes to winter. The following are the tips by which your dog can be prevented at a great extent. Place a flannel sheet under your dog’s bed so that he feels warmer. Dogs normally feel very cold in winter due to which they shiver and act absurd at times to prevent all of this a flannel sheet can do wonders for a dog and could save him from winter. Many dogs like to sleep on the floor as the vent catches an amount of identification and the dogs mostly like to lie down and sneeze rather than on his couch. Just keep the dog warm as warm as you can and let him be in his maximum comfort zone. In winter your dog would require more energy to do every possible thing he does because due to falling sick his immunity level goes down and he needs more food to get back to the same level. So do not be afraid as much as food he requires. Be sure that you need to be cleaning your dog’s paws so that any sort of chemical that comes with his paws he wouldn’t lick it. May dogs get anti-freezers in their paws and then land up falling serious ill. So their cleanliness should surely be taken care off. Try and keep the anti-freeze as far as you can so that they may not get in their paws or elsewhere. Normally they get in to the freezing agents by the side of the garages spilled outside so they lick it or get it stocked with their paws. Try and keep these things as far as you can from them. If your dog is not habitual of going out or if he is not much of an outgoing dog then it wouldn’t be advisable for your dog to go out. It would be better if he stays back at home rather than going out and getting sick. Your dog should be kept in a warm place from where warm sir is blowing. That would help him to stay warm and away from all the winter diseases. Try not to unleash your dog be unleashed in snow storm and other winter calamities so that he can be safe from all the hap hazards that takes place. Even when he would be lost he won’t be able o find his way to home. Above all if your dog is old in age and very sensitive please do get a sweater for him so that he can be kept warm. 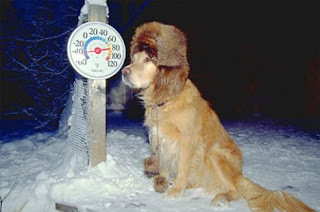 The age and immunity level has a great impact on the dog’s health in the winter season.